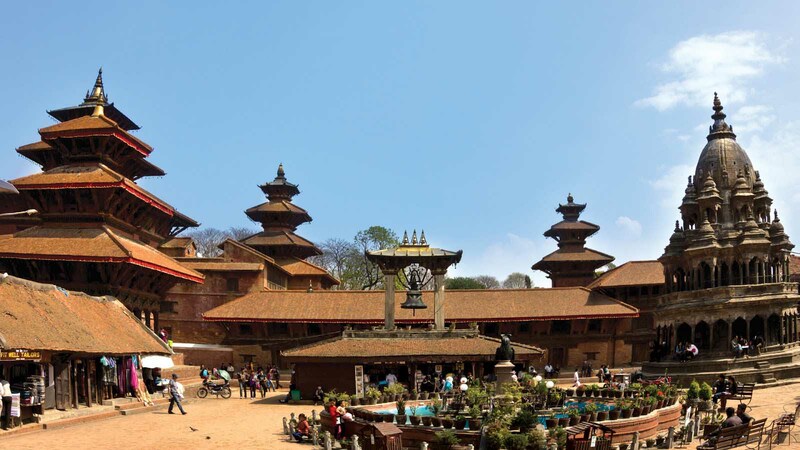 Private Day Tour: Patan and Bhaktapur from Kathmandu | Adam Tours & Travel Pvt. Ltd.
Venture to the city of Patan on this 6-hour private day tour. Stroll through Patan Durbar, including the local Tibetan handicraft center. Observe the locals as they go about their daily lives before heading to Bhaktapur Durbar Square. Walk the well-preserved square and listen as your guide gives you the background of this ancient complex. Journey to the city of Patan after getting picked up from your Kathmandu accommodations. The drive will take approximately 30 minutes. Upon your arrival, you will commence the walking tour and marvel at the city of architecture and fine arts. Pay a visit to the Tibetan handicraft center at Jawalakhel to watch carpet weaving. Stroll Patan Durbar Square, also known as Lalitpur, home to the residence of the former Patan royal family. View the Newari architecture that surrounds you in multiple courtyards such as Mul Chowk, Sundari Chowk, and Keshav Narayan Chowk. After Patan, drive for approximately 30 minutes to Bhaktapur (also known as Bhadgaon), Kathmandu valley’s most medieval city. This city once served as one of the three Kingdoms of Mallas. You will walk around the famous Bhaktapur Durbar Square and visit the famous attractions such as Lion gate, the picture gallery, the Golden gate, Potter’s square, and the 55 Window palace. Break for a traditional lunch in the square in between sightseeing adventures. Take photos of the historical monuments you witness along the way. Your tour will end with a return drop-off at your accommodations.